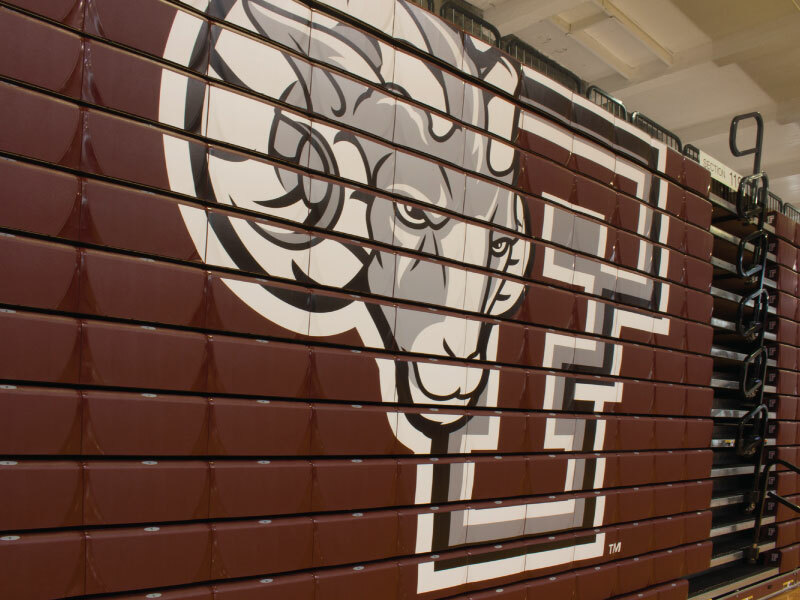 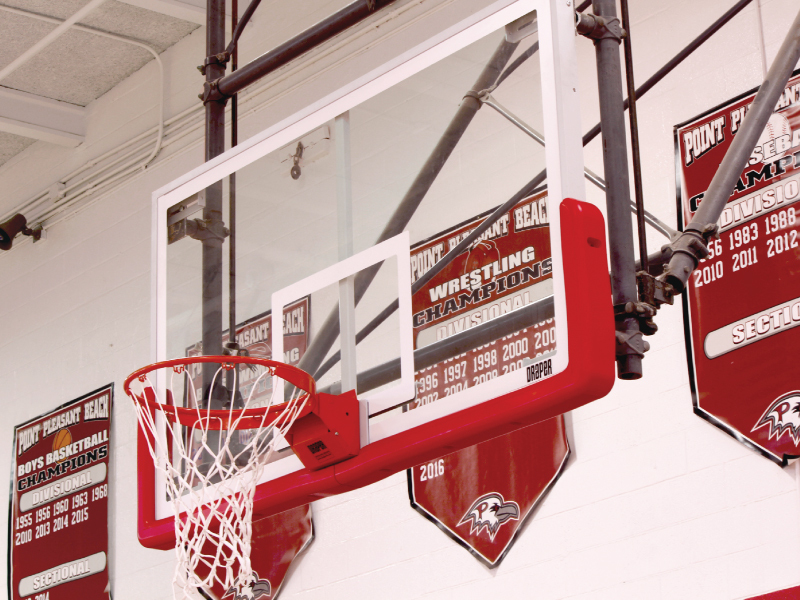 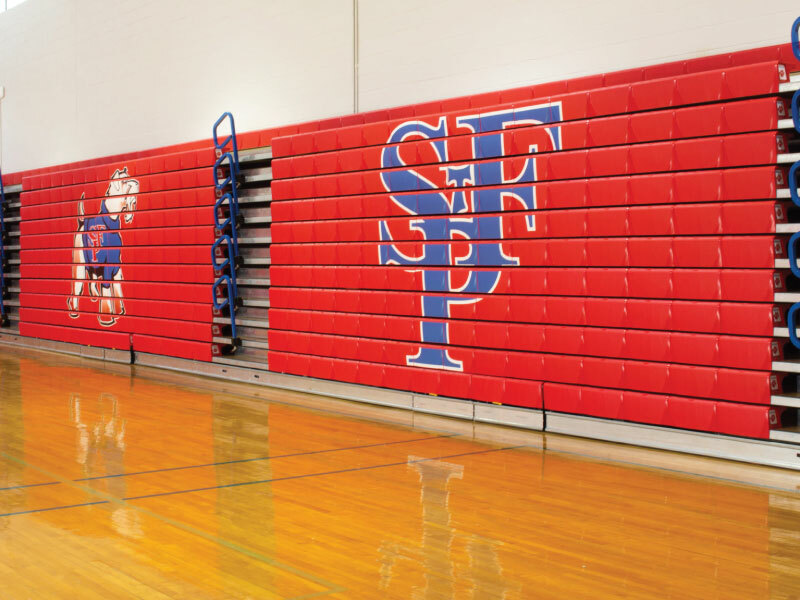 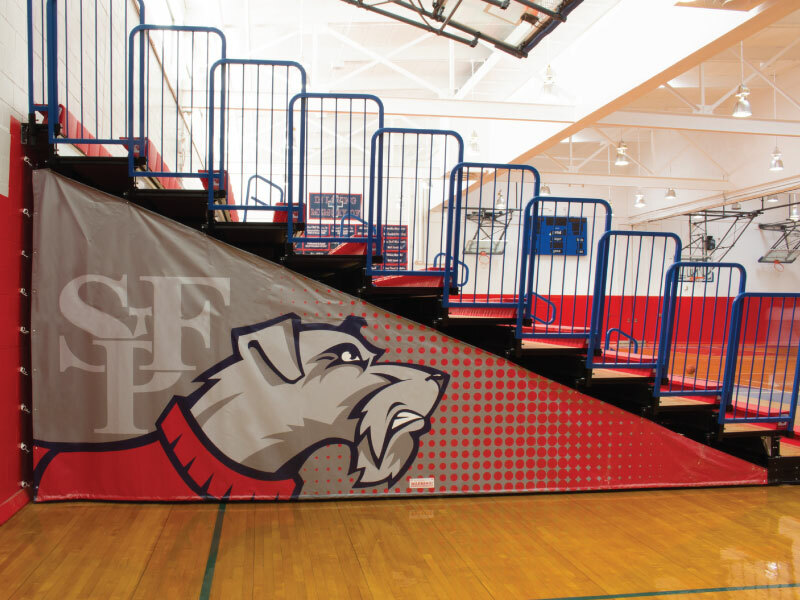 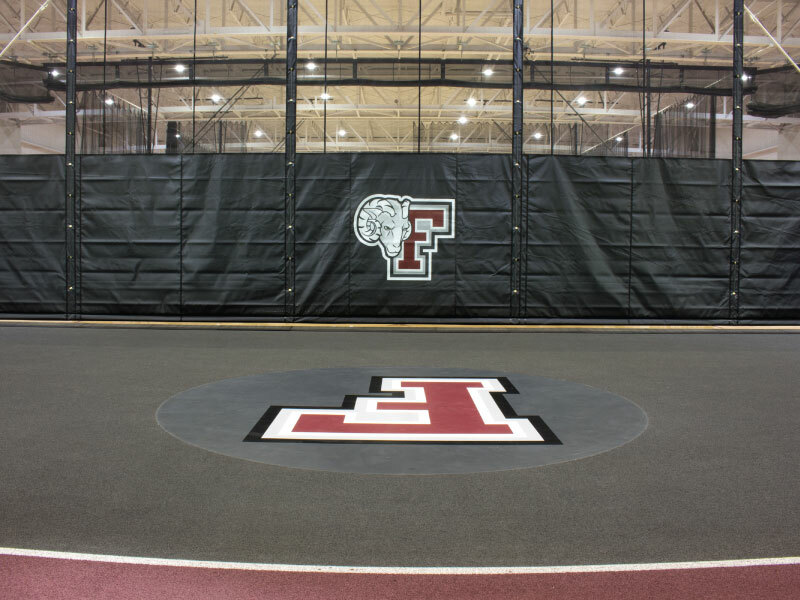 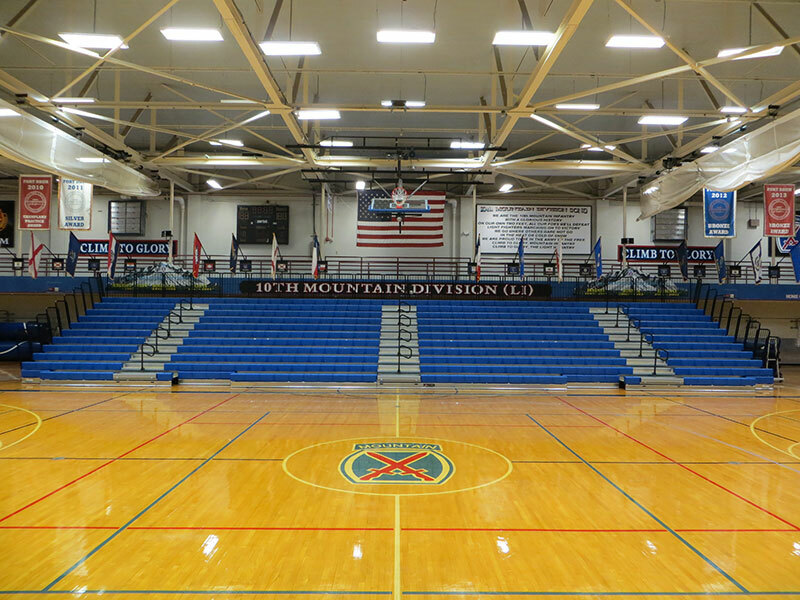 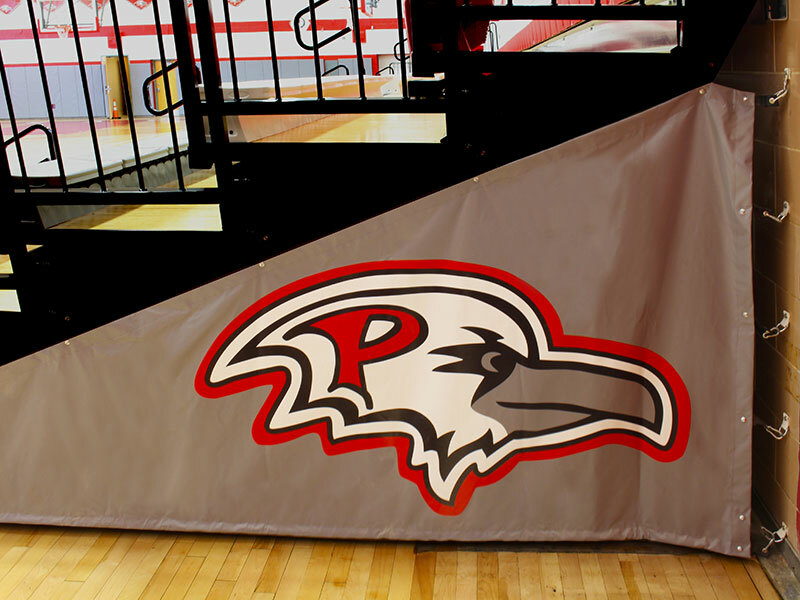 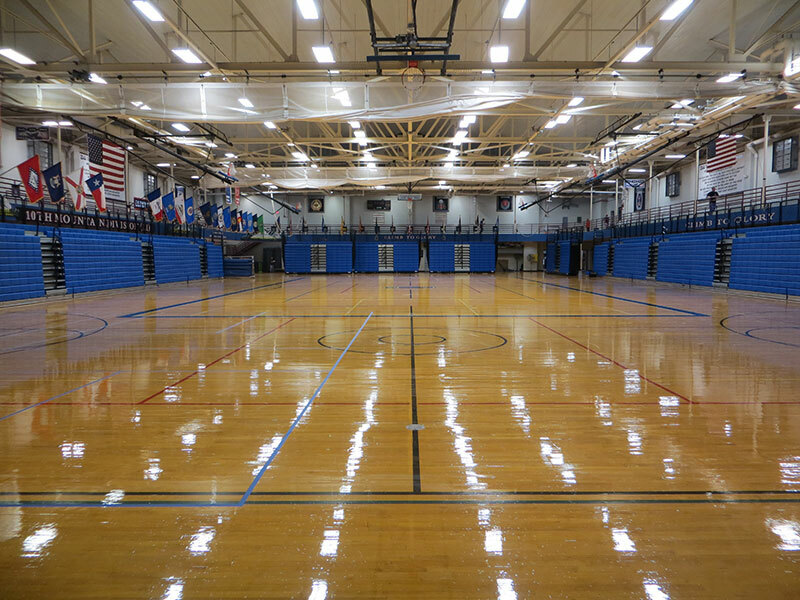 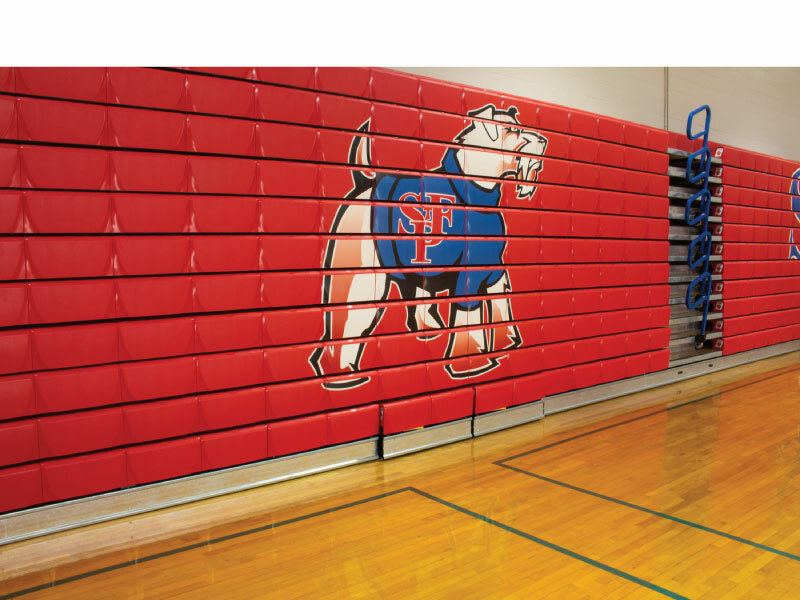 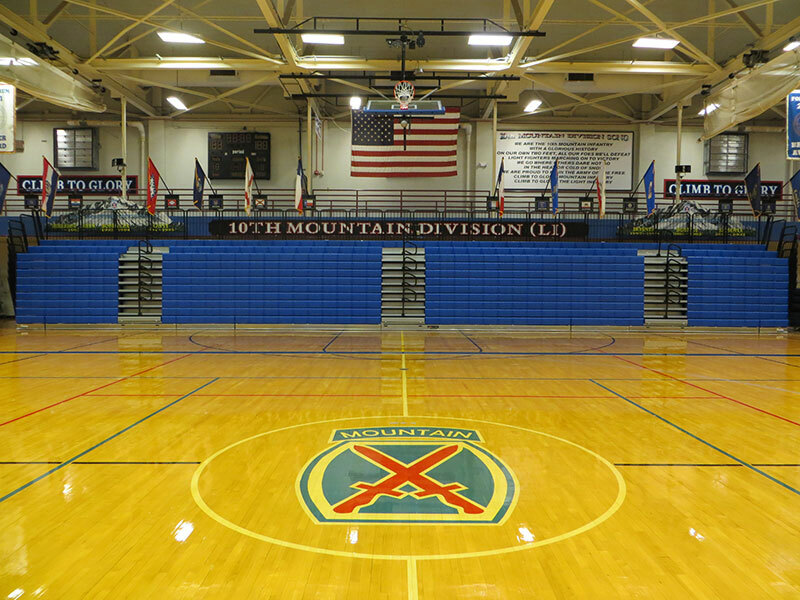 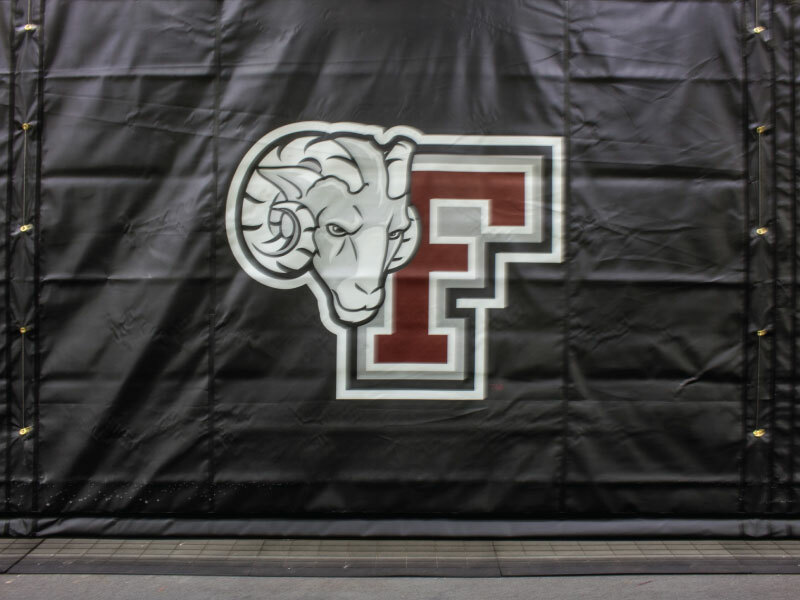 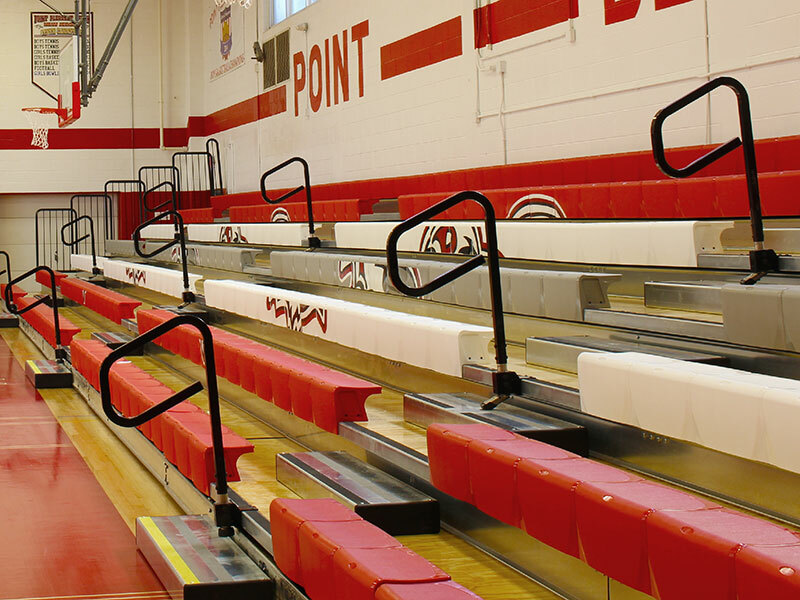 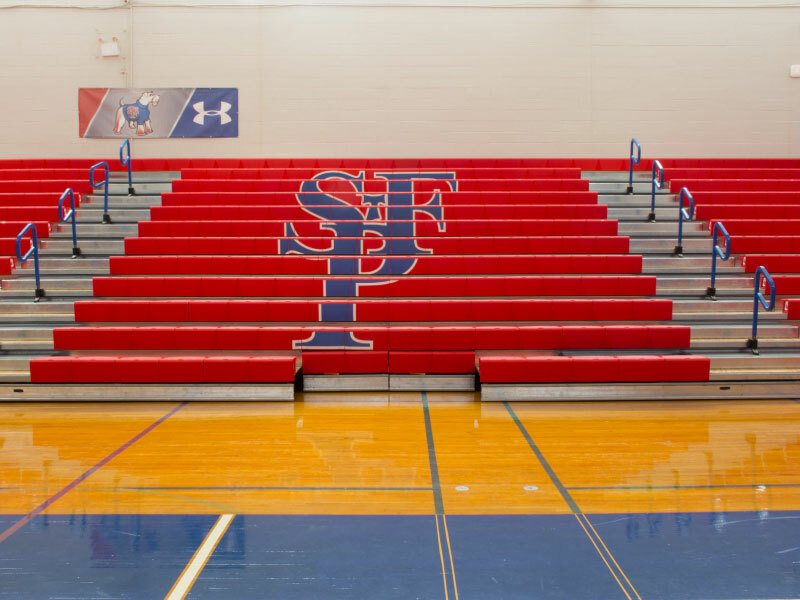 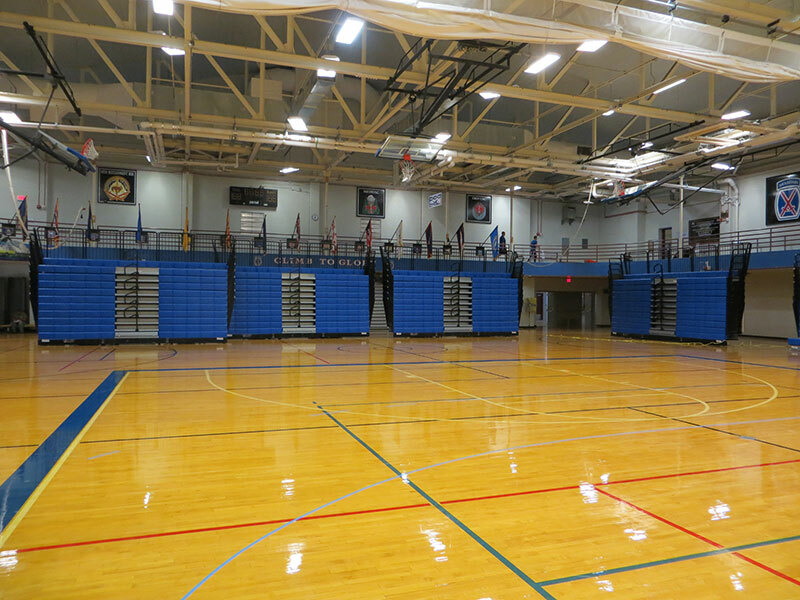 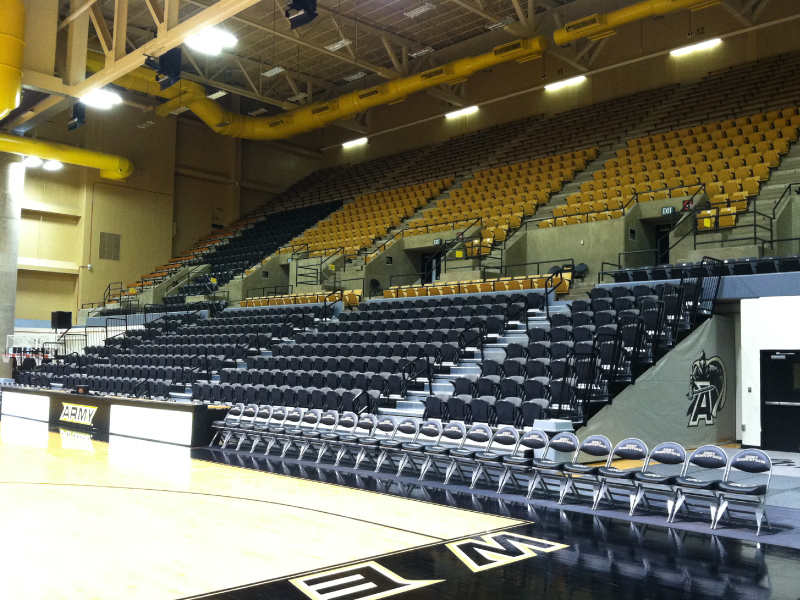 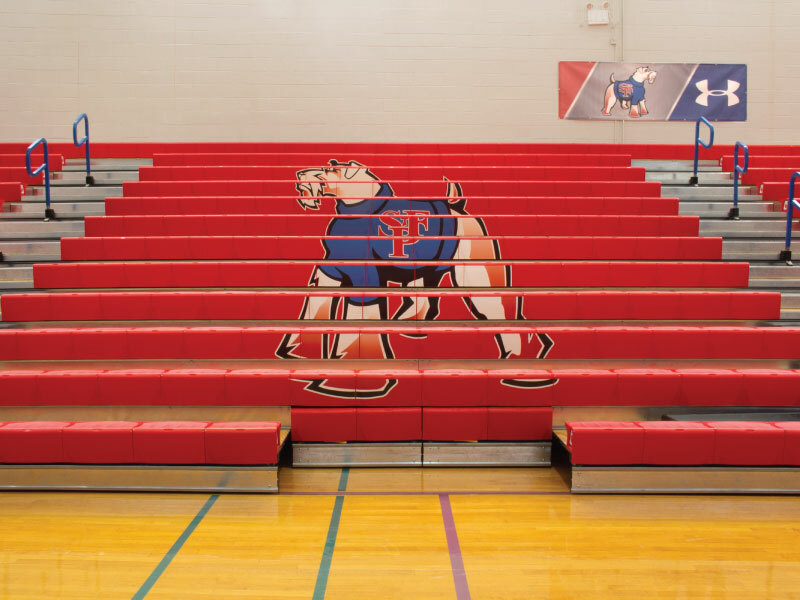 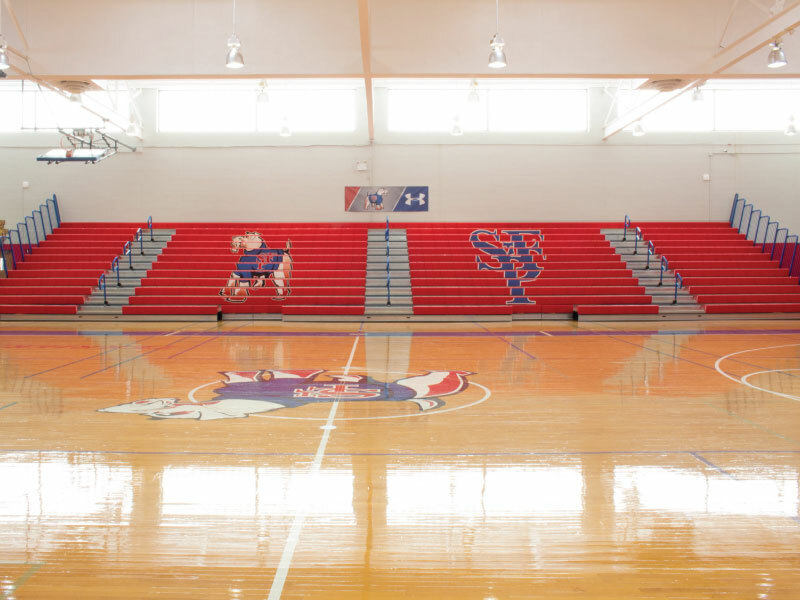 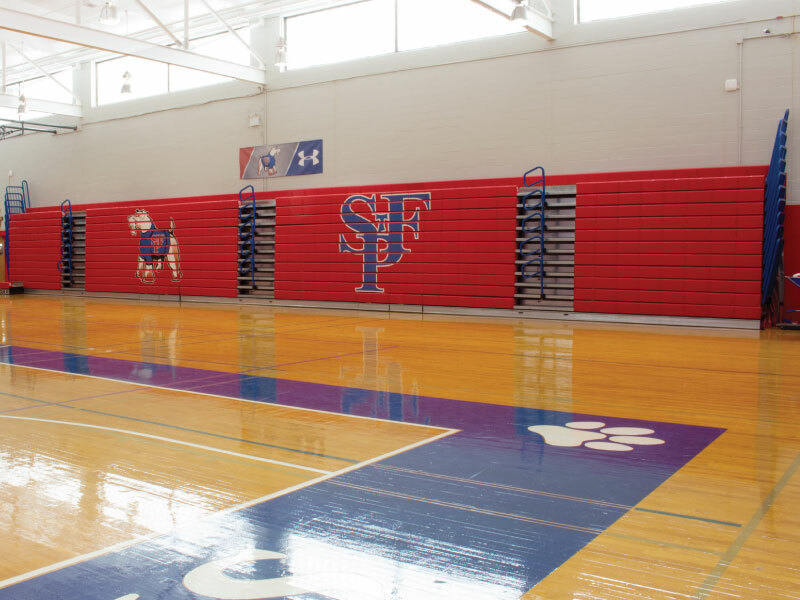 Fort Drum came to us looking to replace their existing bleachers which were outdated and operating poorly. 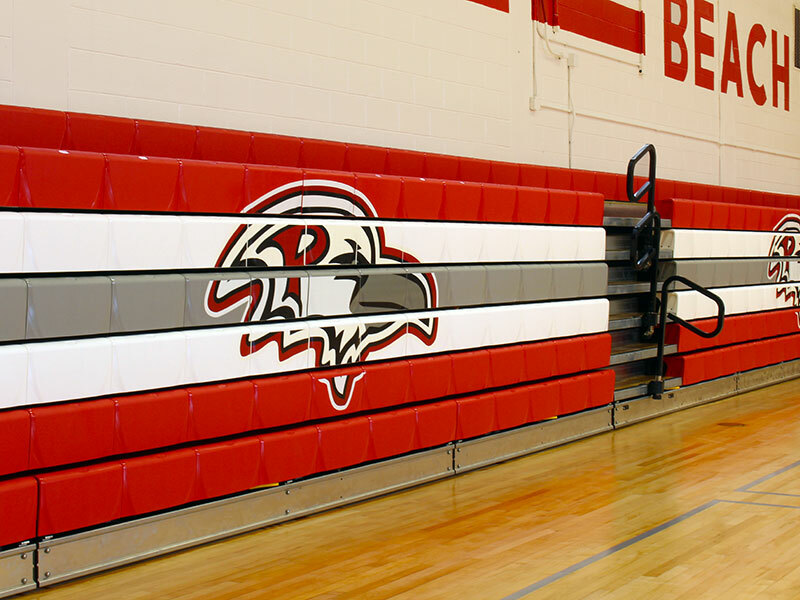 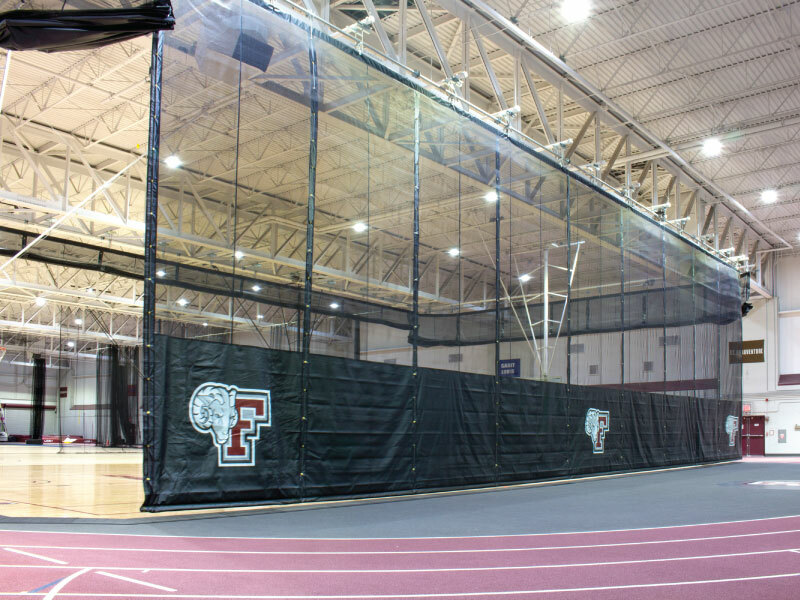 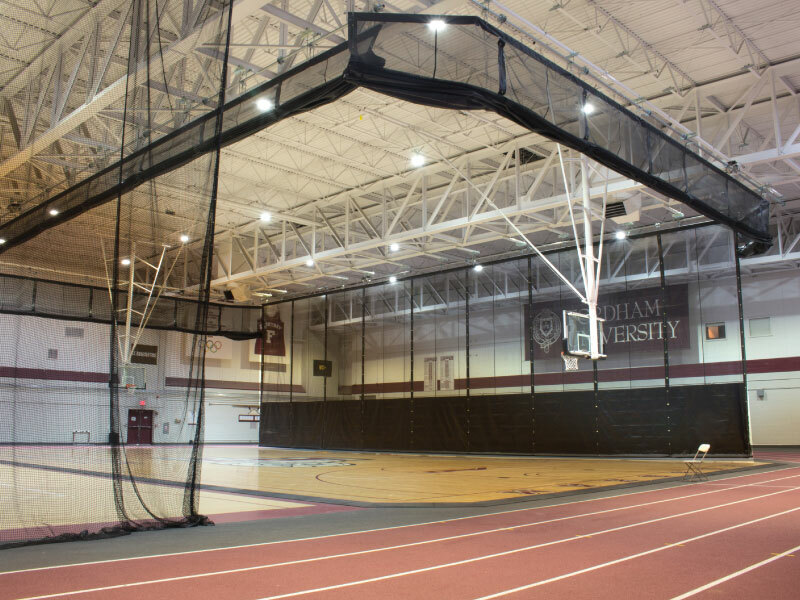 They had a specific need for a portable bleacher that could be stored underneath the 2nd floor running track when not in use. 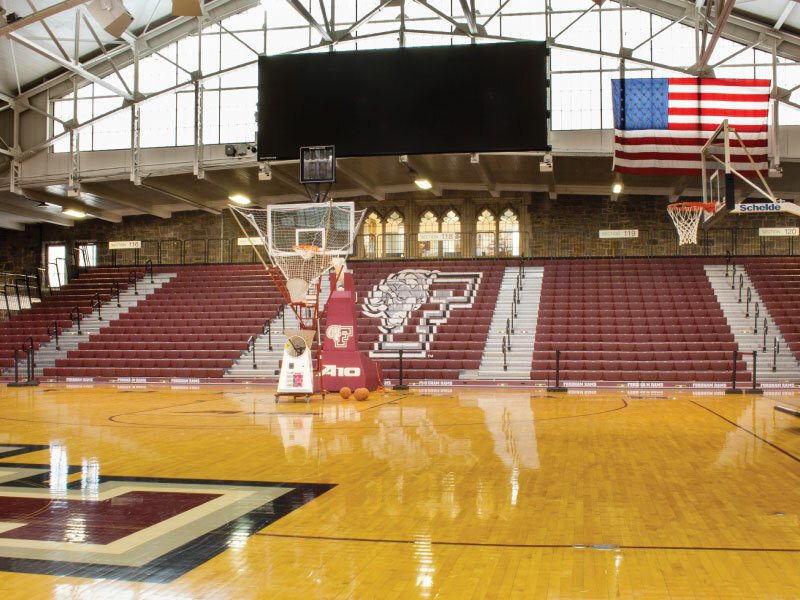 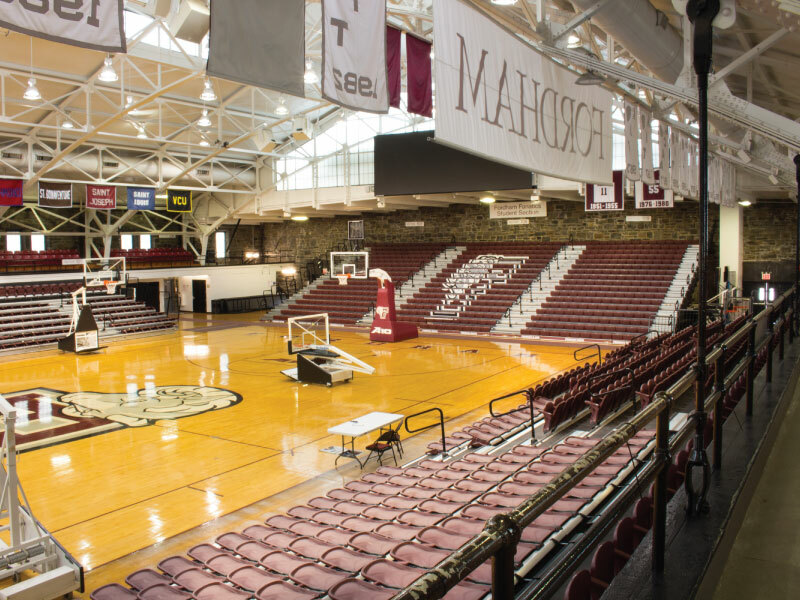 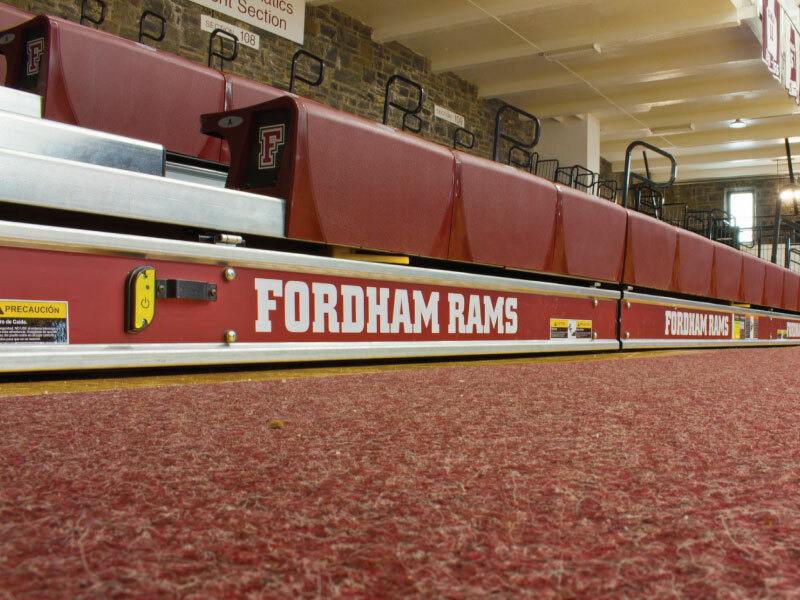 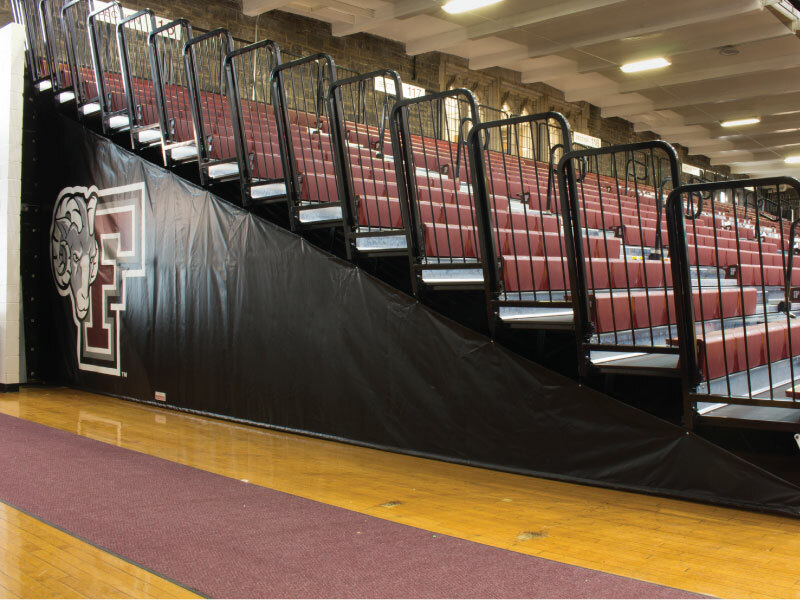 The bleacher also had to have the ability to travel forward approximately 40 feet to where it would be setup on the main court at game time. 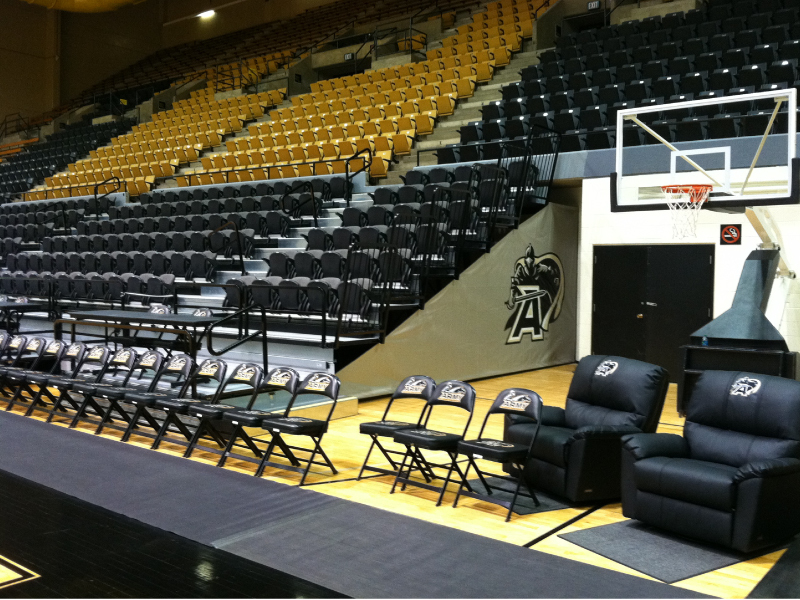 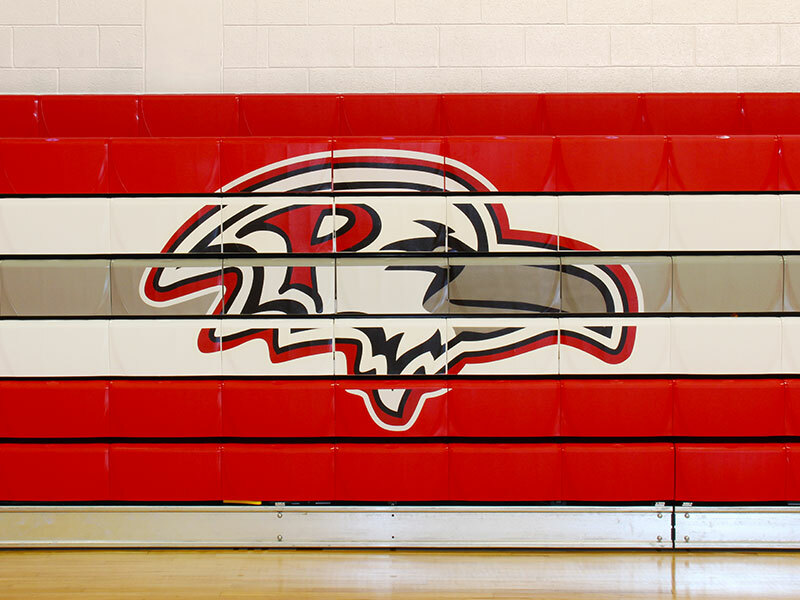 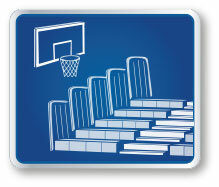 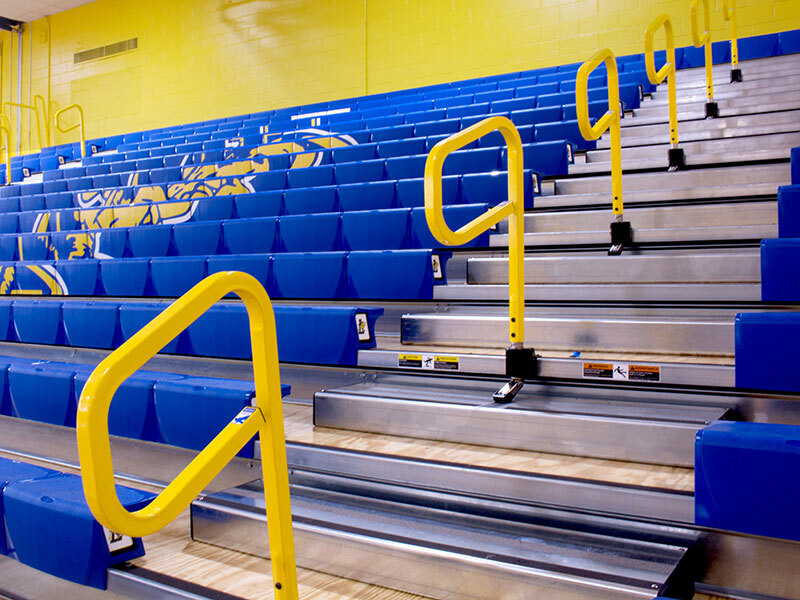 We presented them with the MAXAM Custom Traveling Bleacher by Hussey Seating. 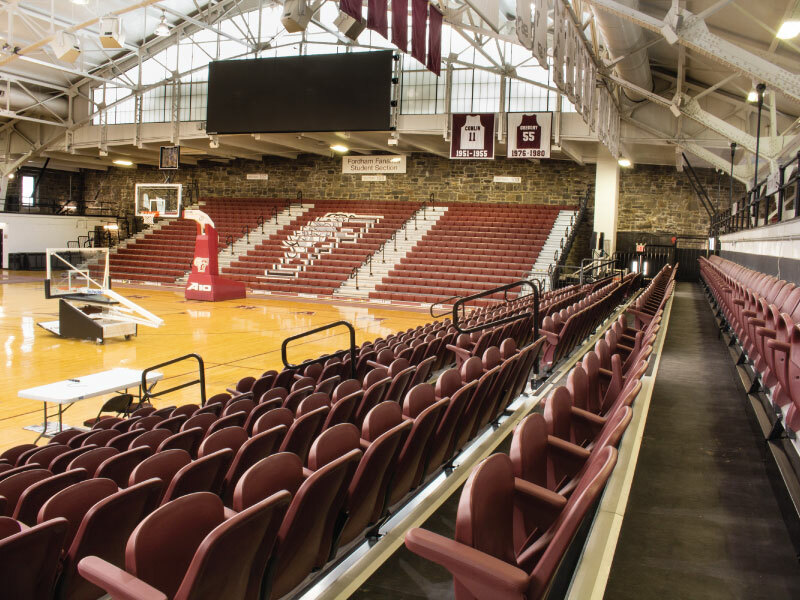 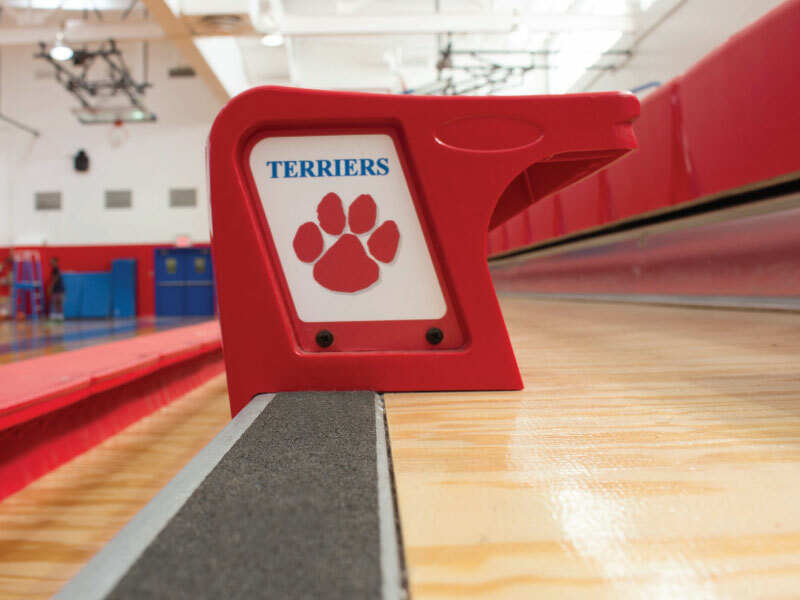 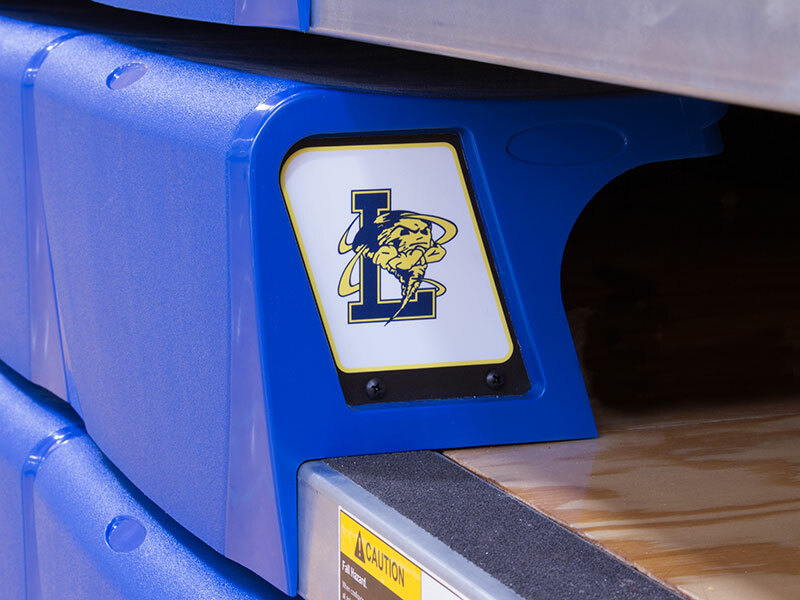 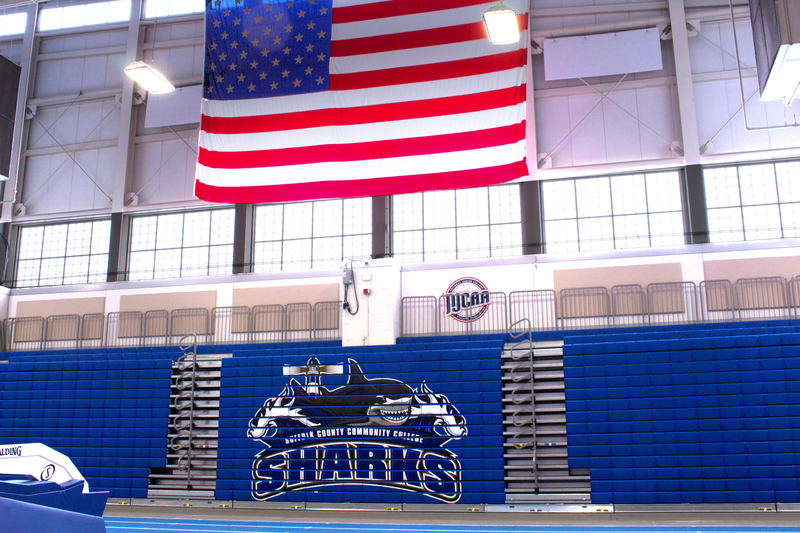 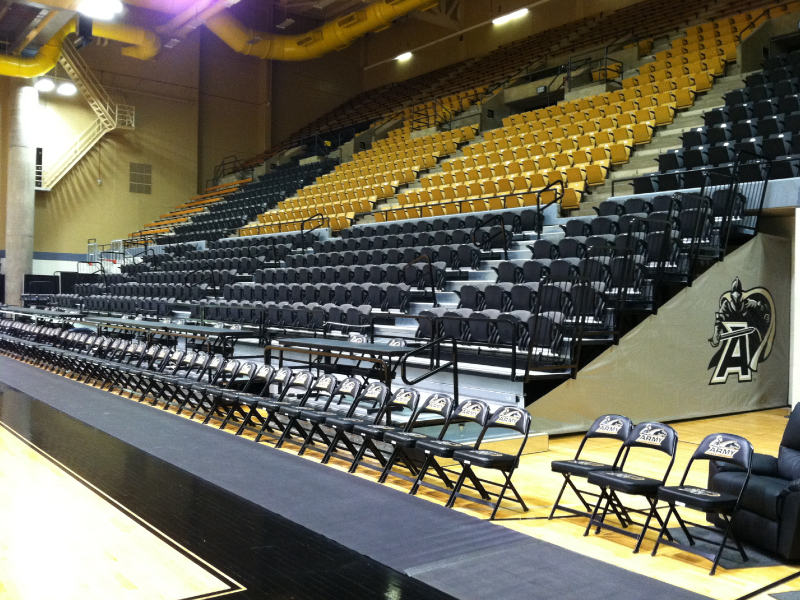 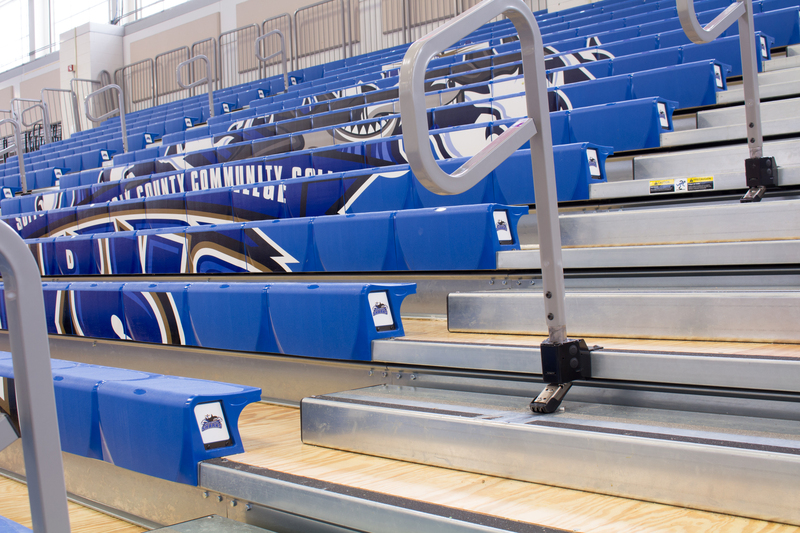 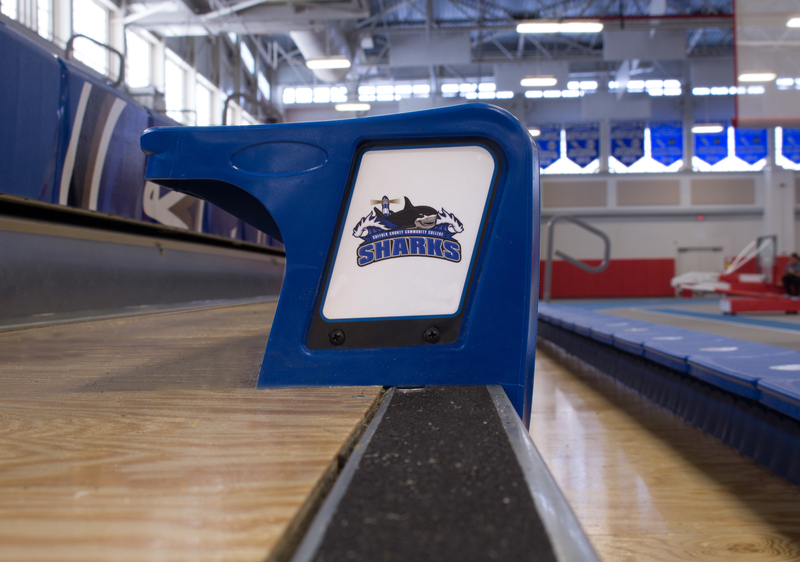 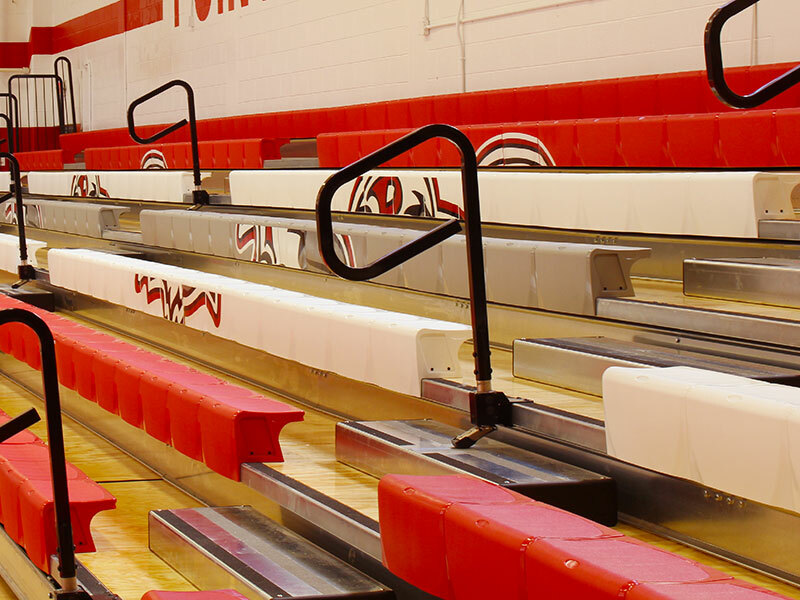 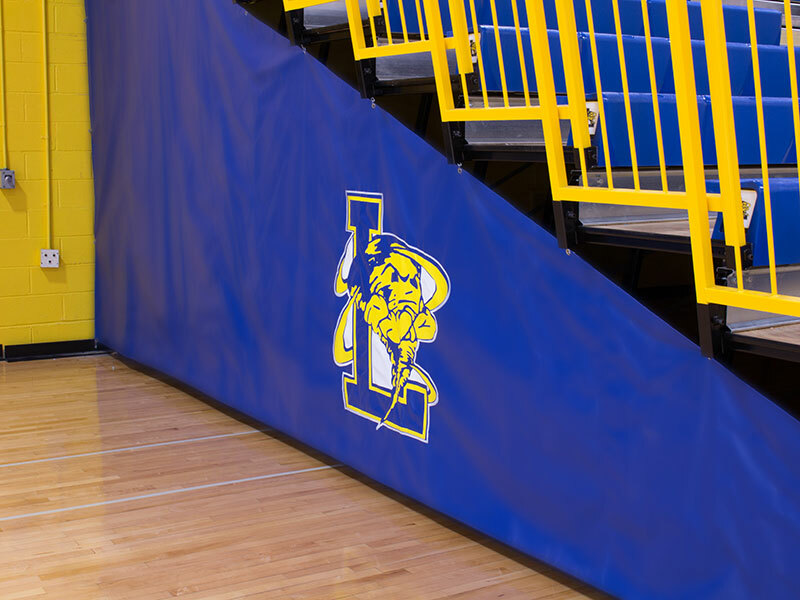 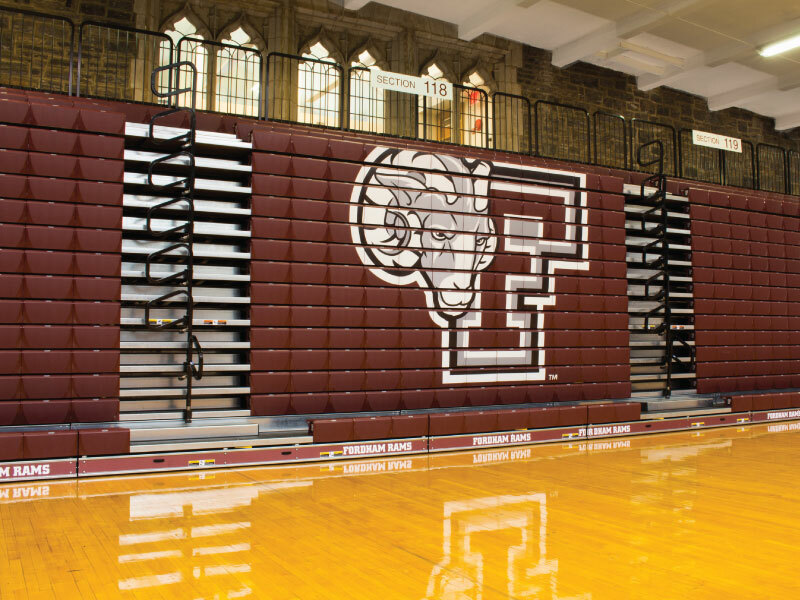 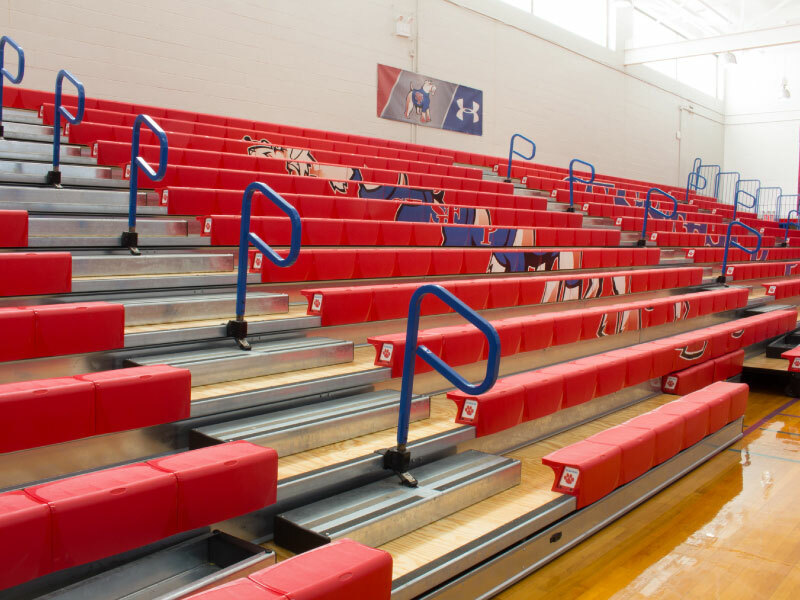 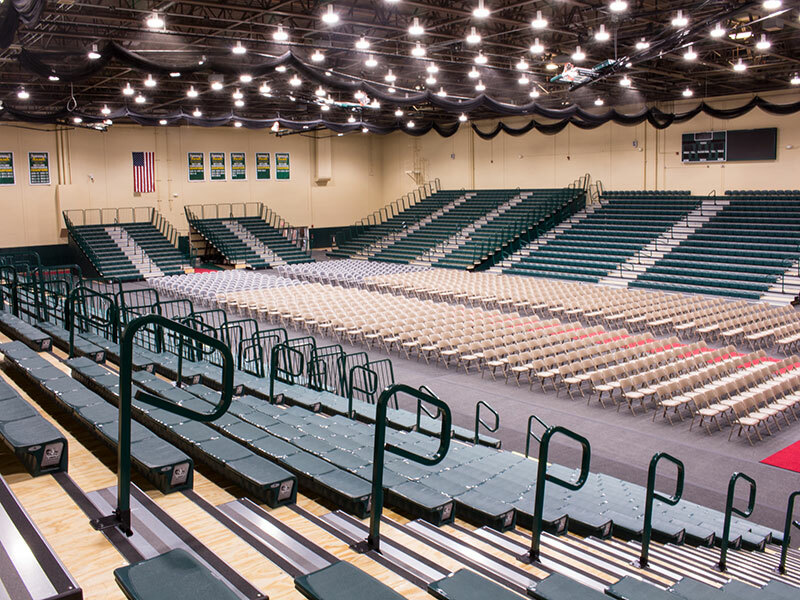 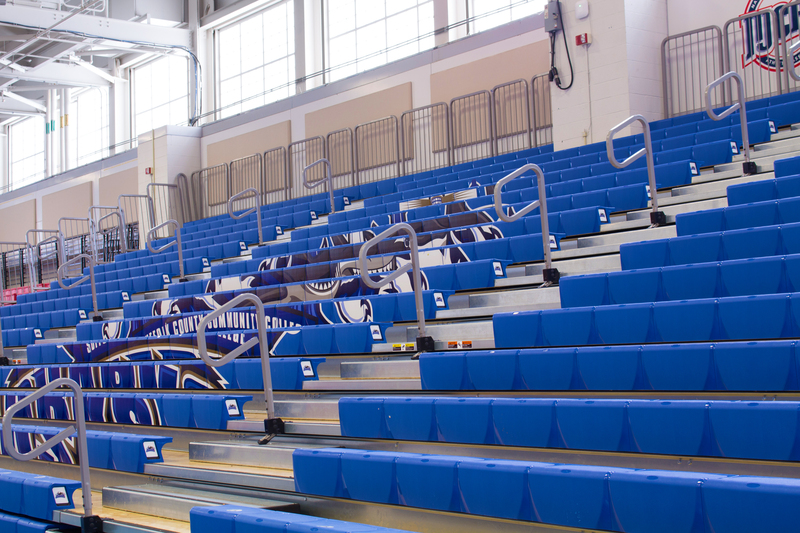 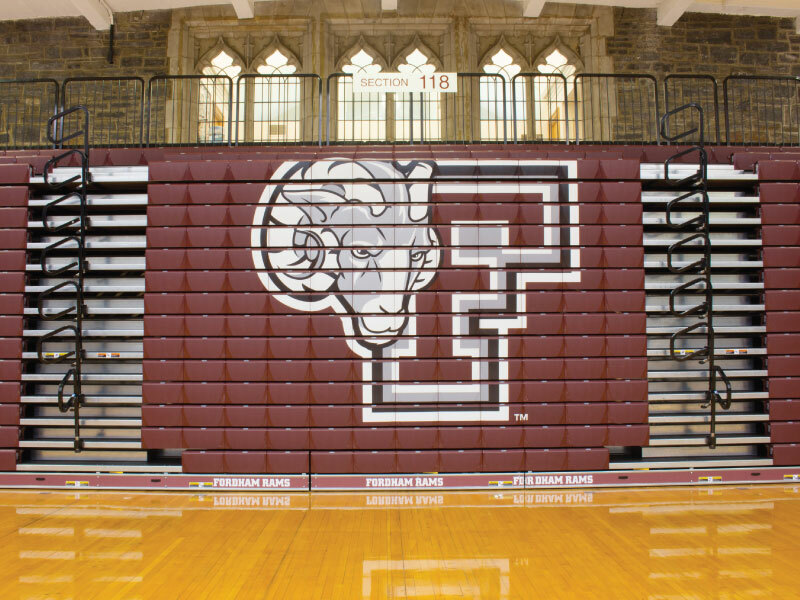 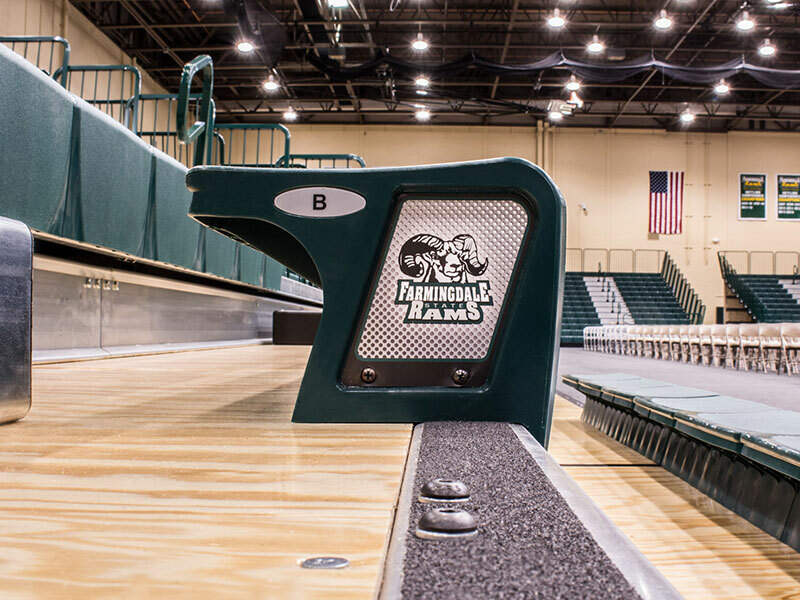 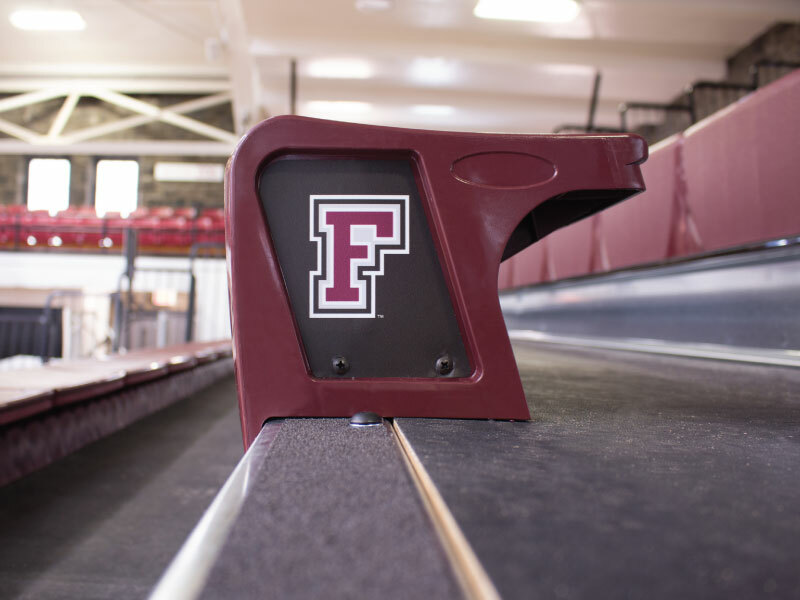 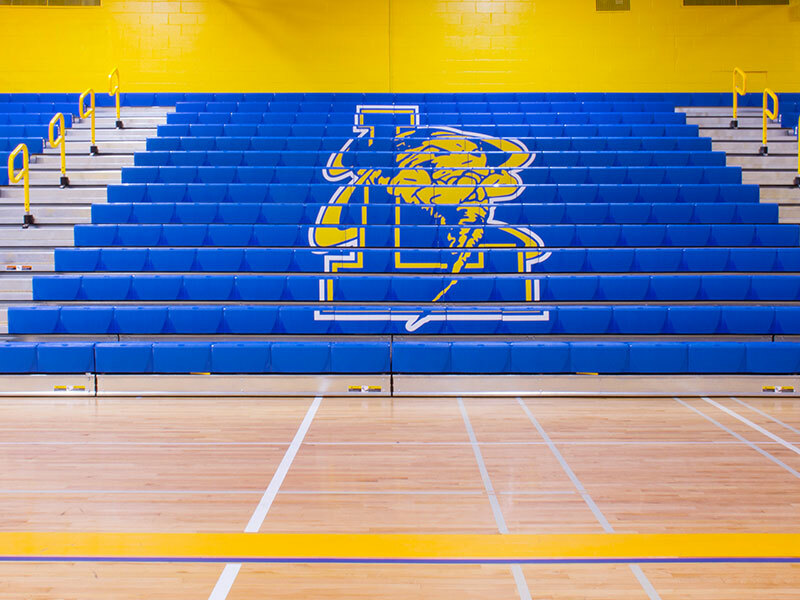 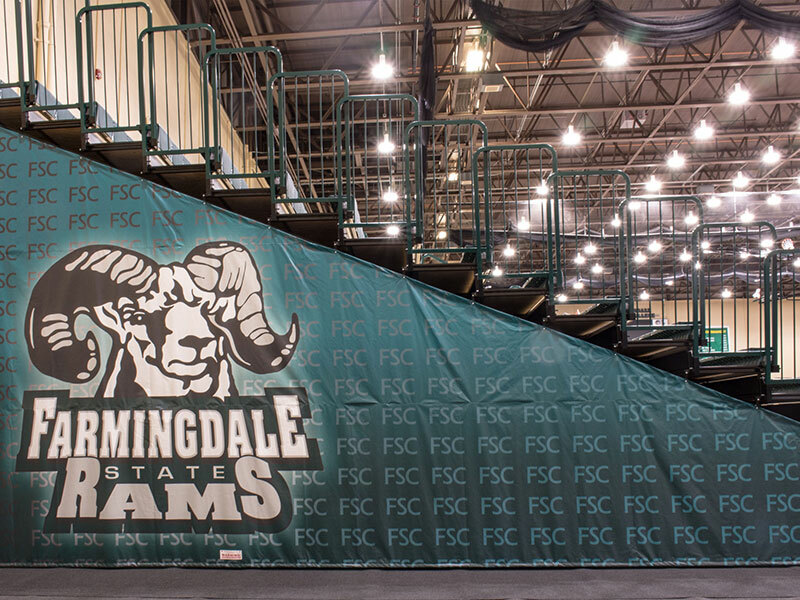 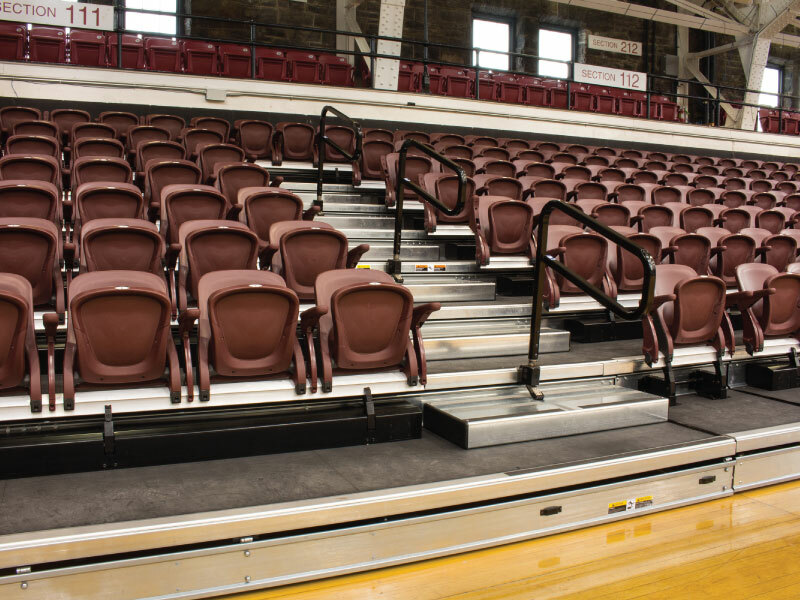 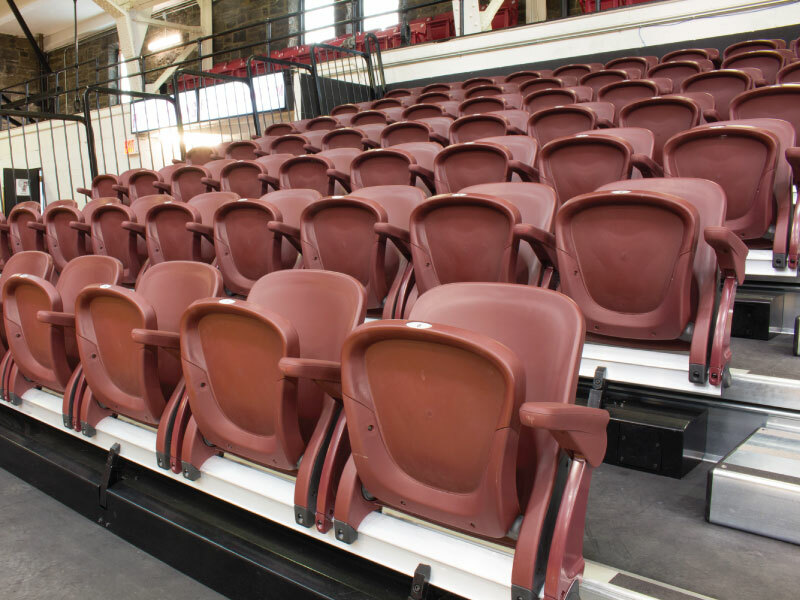 Their custom traveling bleacher saves a significant amount of labor and setup time required of individual portable sections and it also eliminates inconvenient section gaps. 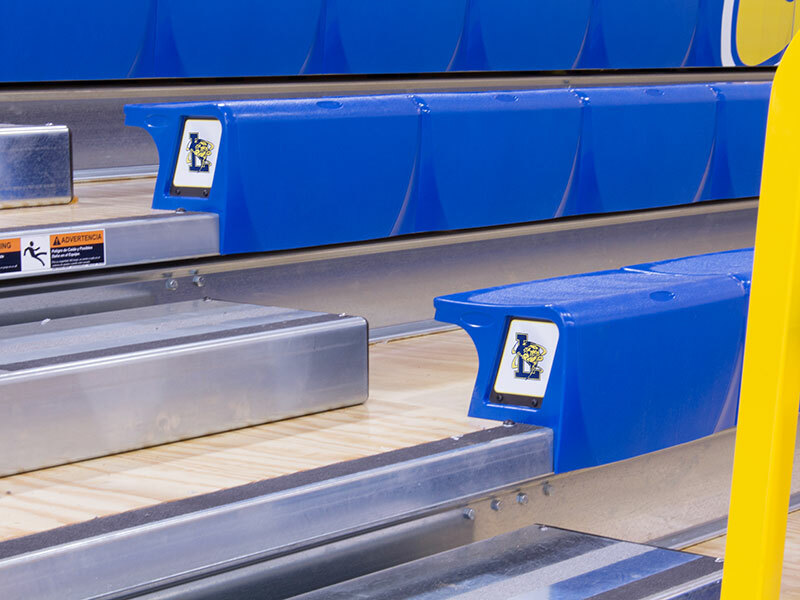 The installation needed to be done during a 2 week period. 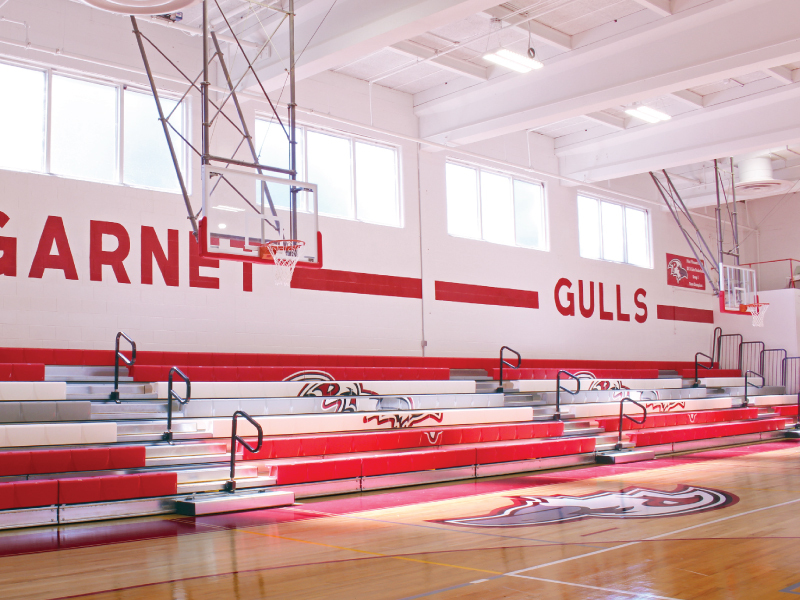 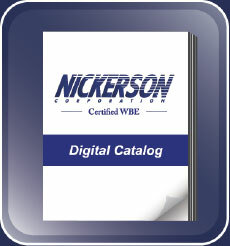 Nickerson followed the strict timeline and actually was able to complete the job 3 days earlier than scheduled. 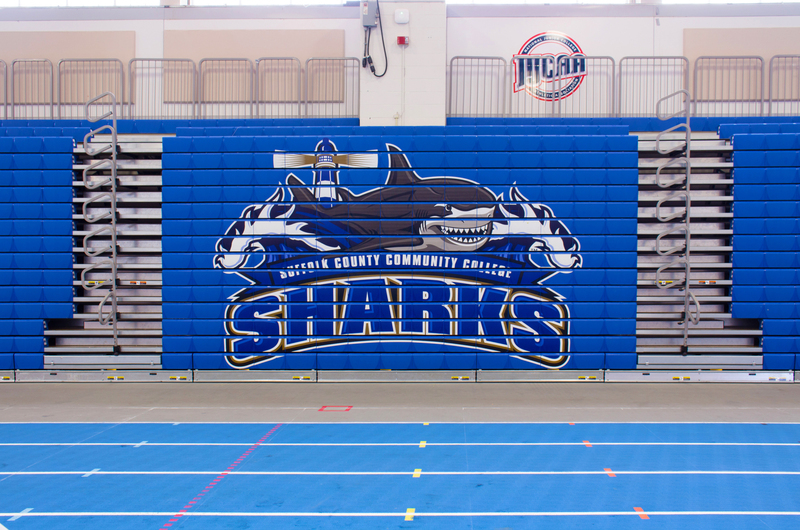 We were glad to be a part of this unique job. 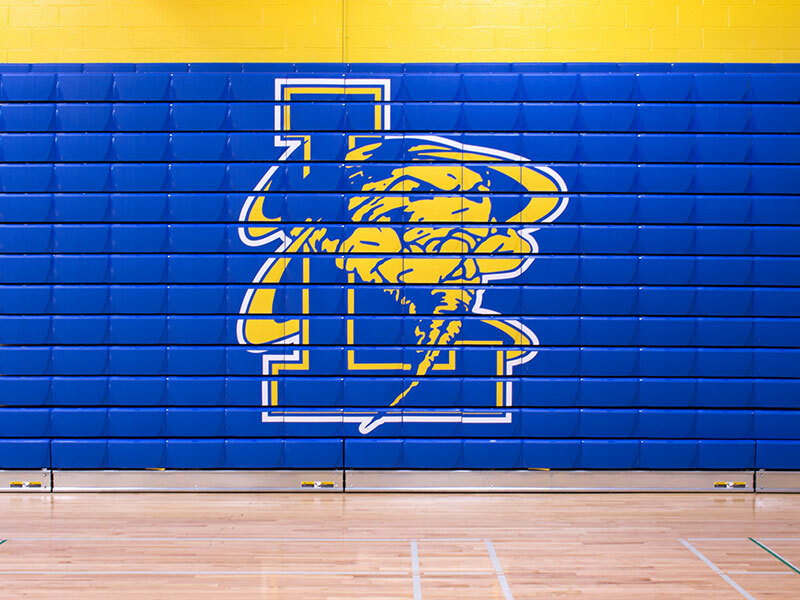 Summary: The job was awarded in September 2011 and had to be installed in an eight day window, during the school’s winter recess in December, creating a very short 4 month time period for the job. 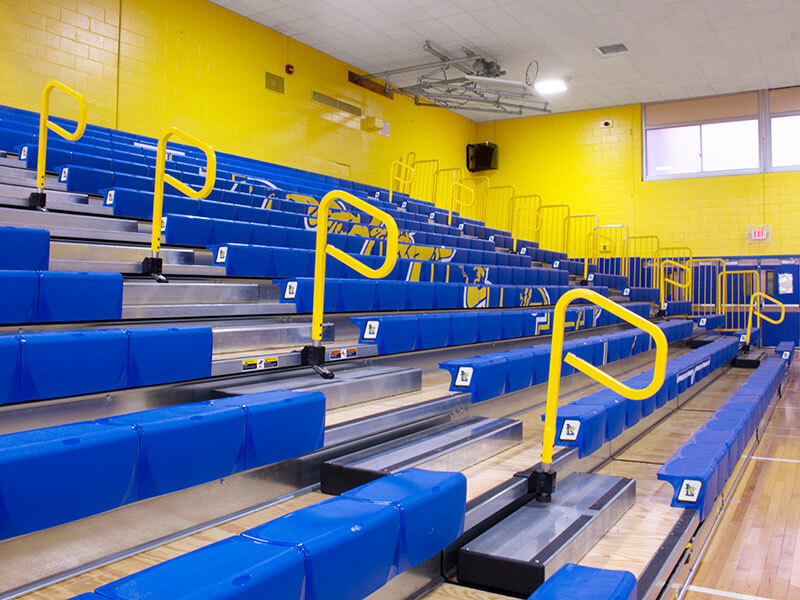 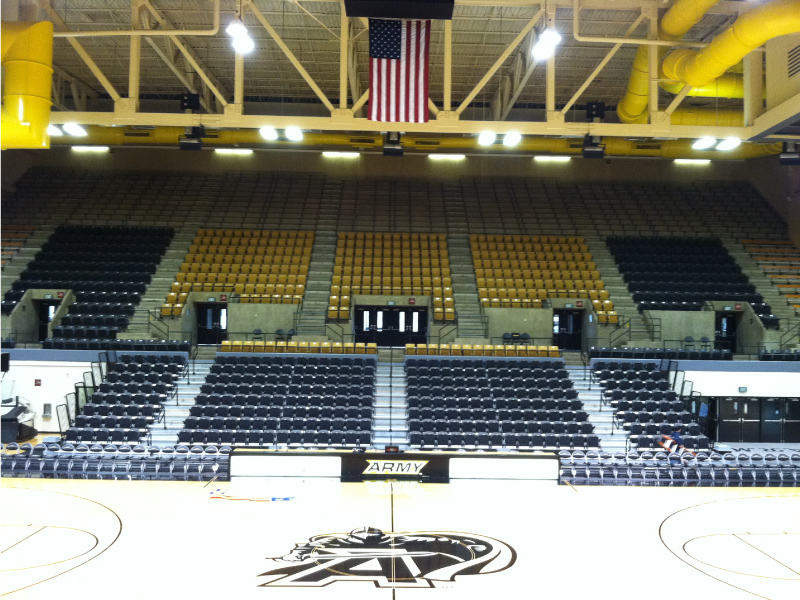 The customer selected Hussey Metro Seats, but also requested a press area somewhere within the gym space. 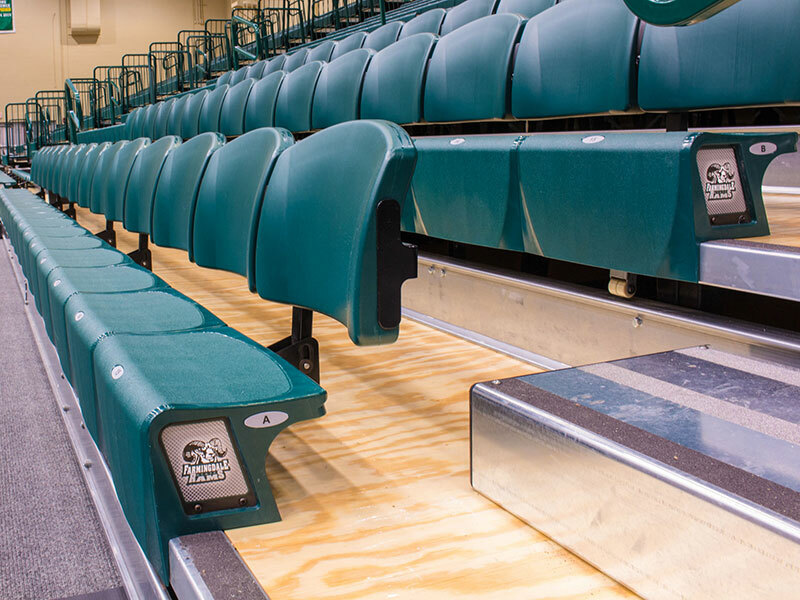 Hussey engineered custom press platform that was seamlessly incorporated into the one of the bleacher banks. 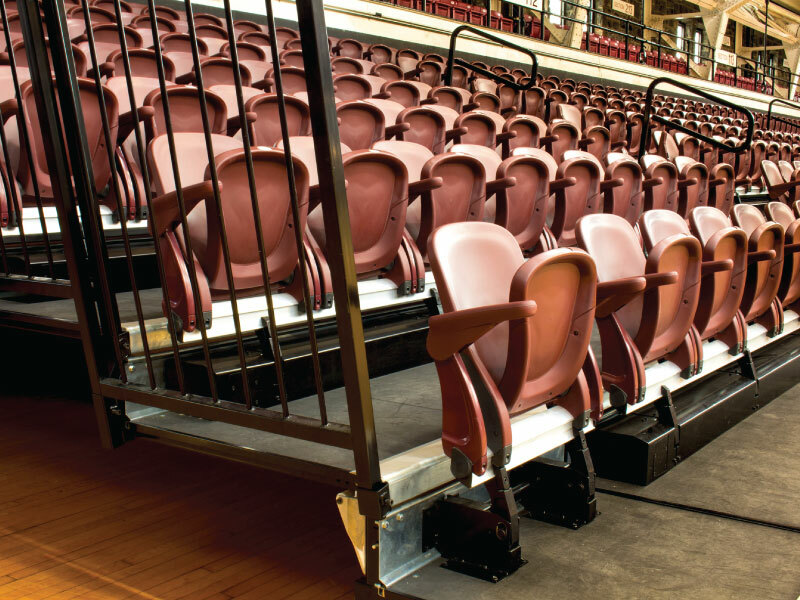 The final design featured two new banks of automatic metro seat bleachers, one 8-tier and one 6-tier, for a total of 512 net seats, with the press platform on the 6-tier bleacher. 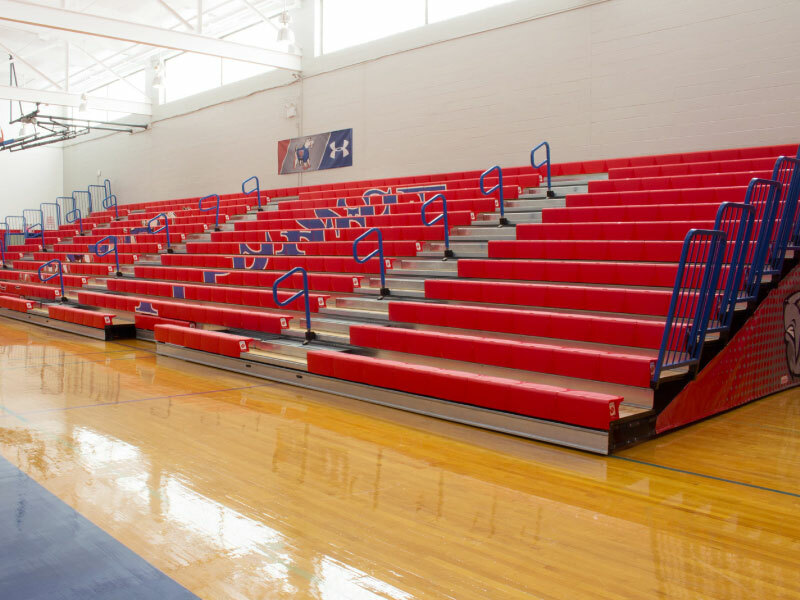 The job was completed a day early and within budget.